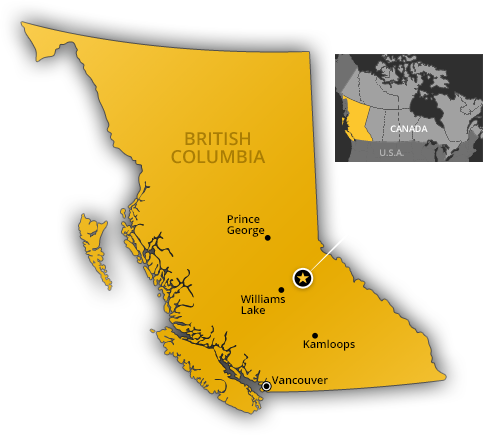 Home | Spanish Mountain Gold Ltd.
Spanish Mountain Gold Ltd is focused on advancing its flagship Spanish Mountain gold project in southern central British Columbia. The Company has adopted a two-zone project approach in which the pit-delineated high grade core (the First Zone) of the multi-million ounce resource is expected to sustain a robust stand-alone operation exceeding 24 years. The positive economics of the First Zone have been demonstrated in a Preliminary Economic Assessment. Furthermore, the resource ounces not included in the PEA (the Second Zone) present future oportunities for the project.